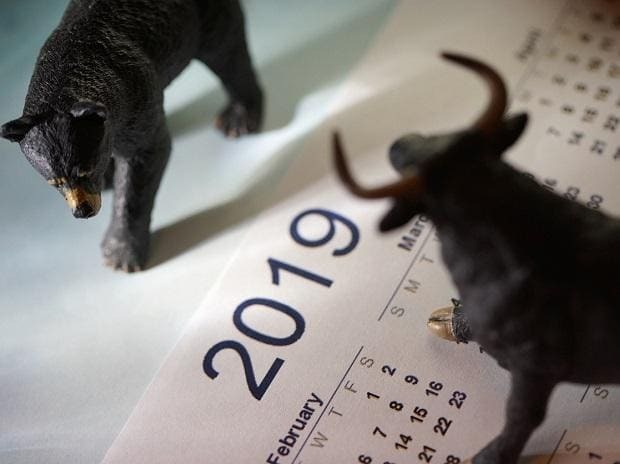 Indian equity benchmarks are likely to continue outperforming their emerging market (EM) and Asian peers in calendar year 2019 (CY19) that are headed into polls this year, analysts say. Though they believe there could be intermittent corrections, the overall trend for Indian equities remains bullish. The election season in select EMs started on March 24 with Thailand heading into polls. Till December 2019, as many as 12 EMs / Asian economies, including India, Indonesia, Panama, South Africa, Bolivia and Ukraine will vote to elect a new central government. Over the past one year, the S&P BSE Sensex and the Nifty50 have outperformed the frontline benchmarks of most of these EMs / Asian countries with a gain of around 15 per cent – second only to Ukraine’s PFTS Index that topped the list with a gain of 60 per cent during this period. “Emerging market performance will be very much country-specific. In countries such as Indonesia, India and the Philippines, the incumbent is likely to win due to high popularity, which bodes well for stability. For India, however, we do not expect a landslide win, which will have repercussions for reforms further down the road, a problem that South Africa also faces,” said Netherlands-based Hugo Erken, head international research at RaboResearch Global Economics and Markets. Recent opinion polls on the 2019 national elections, according to reports, projected the Bharatiya Janata Party (BJP) – led National Democratic Alliance (NDA) coalition winning 264 – 290 seats, close to or above the half-way mark of 272 seats required to form a government. “The Indian market’s strong performance over the past few weeks reflects the market’s increased confidence about the BJP-led NDA coalition retaining power post the 2019 national elections albeit with fewer number of seats compared to its current position, 'catch-up' given its underperformance relative to other EMs and growing confidence about earnings of the financial sector,” wrote Sanjeev Prasad, executive director and co-head, Kotak Institutional Equities in a recent co-authored report with Sunita Baldawa and Anindya Bhowmik. Jitendra Gohil, head of India equity research at Credit Suisse Wealth Management, too, expects Indian equities to do relatively better as compared to their EM peers in the absence of a global risk-off sentiment. “That said, high valuations for Indian equities coupled with the expectation of consensus earnings downgrade to high-teen levels from over 20 per cent currently, refrain us from going overweight on Indian equities,” he Gohil says. Other foreign brokerages such as HSBC, BNP Paribas, Morgan Stanley and Goldman Sachs have also turned bullish on Indian equities. While BNP Paribas sees the S&P BSE Sensex at 40,000 levels by December 2019, Goldman Sachs pegs the Nifty50 target at 12,500. So, where should you invest then? Vinay Khattar, senior vice-president and head of research at Edelweiss Financial Services believes mid-and small-caps offer a better risk-reward proposition than their large-cap peers at the current levels, which continue to be richly valued. “Nifty is currently trading at 17.5x of FY20 EPS (earnings per share) while NSE-500 trades at 17.6x of FY20 EPS. A sizeable earnings recovery and an earnings multiple de-rating would likely keep large-caps from delivering appropriate risk adjusted returns. Focus should be on mid-and small-cap segments,” Khattar says. Ravi Sundar Muthukrishnan, head of institutional equity research at Elara Securities, too, is bullish on the mid-cap segment and expects returns from this segment to exceed 15 per cent in CY19 as against a negative 15.3 per cent in CY18. Compelling valuations, strong FII flow and expectation of earnings recovery are the three key reasons why he is bullish on this space.